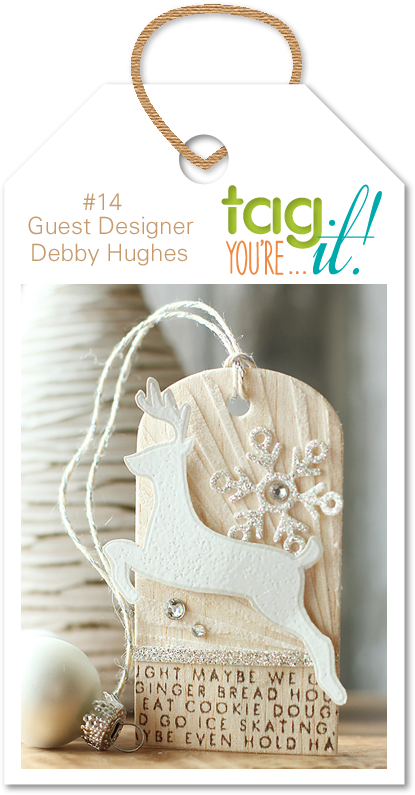 Wow love that coloured burlap and what a fabulous tag. Nice touch with the textured backing. Awesome tag! Love those burlap flowers - so bright and cheery! That die cut buffalo cracks me up! Who knew there was a buffalo die cut in existence! LOL! Great texture on the tag also! 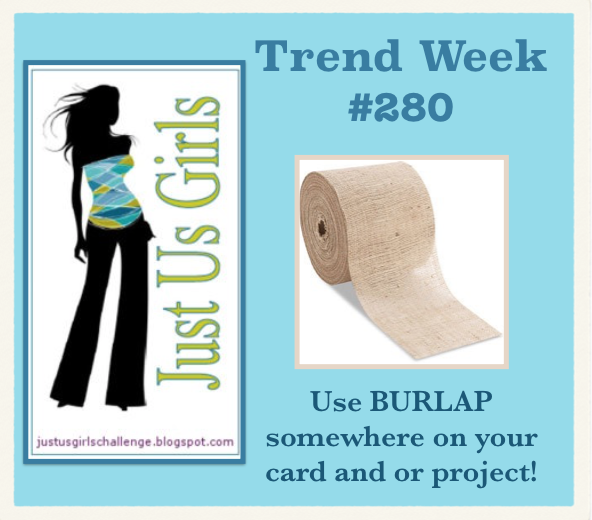 What a fun tag! 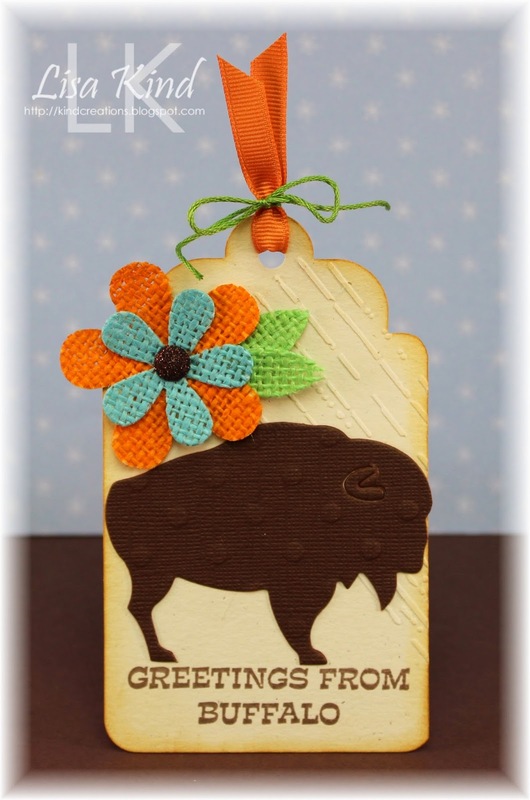 Love the buffalo and those pretty burlap flowers! So beautiful your coloured burlap flowers! (Didn't find that anywhere here...) Hope you had a fun weekend! Love the colored burlap flowers! Great tag!! Hope you enjoyed your weekend away! Great flowers that works perfectly! Love your tag, nicely done! This is so cool! I love that buffalo and super cool burlap flower. Great tag. I love the colored burlap flowers. I bought some of that colored burlap also. I was thinking about making some die cut flowers with it. Thanks for the inspiration.